Osan Air Base (AB) is one of two major airfields operated by the U.S. in South Korea and the only Air Force facility in the Republic of Korea (ROK) entirely planned and built by the U.S. from scratch during the Korean War. 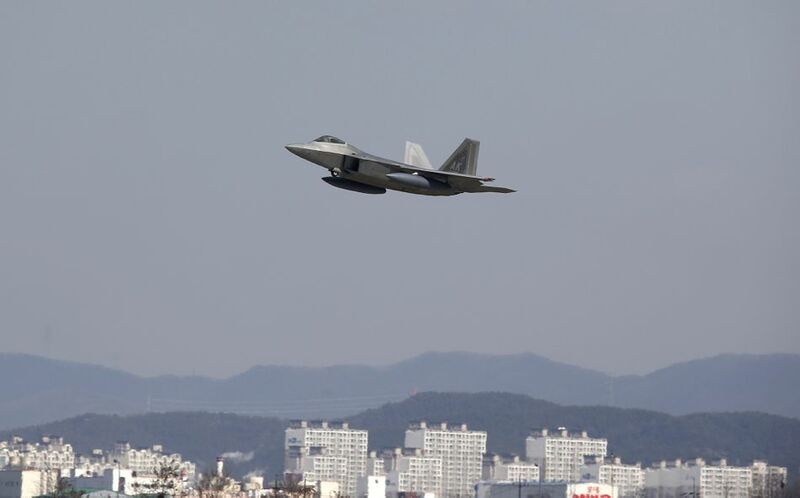 The base is located 4.7 miles southwest of the town of Osan (although not within the town itself), for which it is named, and 40 miles south of Seoul, the capital city. The mission of 7th Air Force is to employ air power to deter aggression, defend the Republic of Korea, and defeat any attack against the alliance. Its 51st Fighter Wing is part of the 7th Air Force. The 51st Fighter Wing on Osan Air Base is charged with defending the base, executing combat operations, and receive follow-on forces. It is a wing with F-16s and A-10s along with a myriad of base support agencies. Its soldiers conduct the full spectrum of missions providing for the defense of the Republic of Korea. Every member of the Osan team is vital in maintaining stability in Northeast Asia. This is especially true due to the base's proximity to North Korea, which has volatile political leadership not aligned with the United States. Osan Air Base is situated near Songtan Station in the city of Pyeongtaek, South Korea, 48 miles south of the Korean demilitarized zone (DMZ), which is the border with North Korea. Osan AFB and Kunsan Air Base on the western coast of South Korea are the Air Force facilities maintained by the joint U.S. Forces Korea. Prior to the invasion of the Republic of Korea by the North Korean communists in 1950, the area where Osan Air Base is now was marked by several tiny farming villages near the hillsides and a large number of rice paddy areas where the base's runway now lies. A large ginkgo tree marked the village square of one of these villages and still stands on a hill in the base golf course. Osan Air Base is home to the "Mustangs" of the 51st Fighter Wing and 24 tenant units, including 7th Air Force. As the most forward deployed permanently-based wing in the Air Force, the 51st Fighter Wing is charged with providing mission-ready Airmen for executing combat operations for the defense of the Republic of Korea. 51st Medical Group is the medical operations and facility for the base. Osan AFB is the departure and arrival point for U.S. government-sponsored Patriot Express flights. These Monday and Wednesday flights bring service members and their family members to South Korea from Seattle-Tacoma International Airport in Washington state, and from the Misawa and Yokota air bases in Japan.